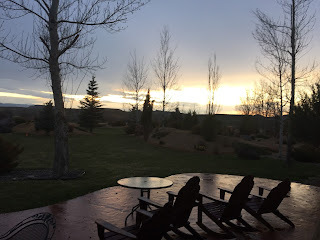 When the protests erupted in Baltimore in April, 2015, I was doing a one month residency at Jentel Arts retreat for writers and artists, a lovely place etched into the Wyoming landscape. I had one half of the writer's cottage, complete with a gas-lit heater and a comfy chair where I completed by book Spirit Boxing. I was carving out the poems in the last two sections of the book where I attempt to view America's working class imagery as a whole arising from my particularized experience.